'STUDIO'* is a beautiful new book from best-selling author Sally Coulthard with the tagline creative spaces for creative people. If you're reading this, you're probably a creative person, and after reading the book, I'm pretty sure there is something in it for every one of you. Before I introduce you to the author, I'd like to share more about the book, which strikes a balance between being informative and aspirational. Even if you don't have sufficient space or funds for a dedicated studio, Sally has included so much practical advice you'll start to look at the space you do have quite differently, and can probably create a special place that supports your passion. The large hardcover edition has three sections. 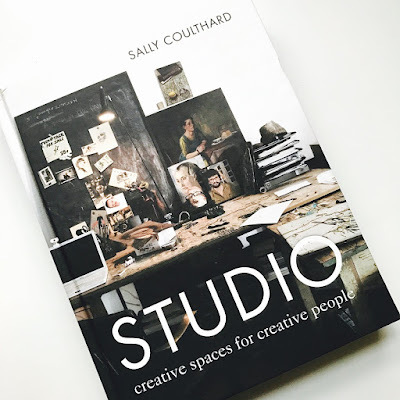 In the first, Sally covers Studio Inspiration - decor ideas and styles that will suit all tastes and reflect your creativity. In the second section, Sally looks a the different ways your studio space needs to be used based on spatial and equipment requirements of your Studio Work. Finally, Studio Elements looks at all sorts of practical choices and considerations. If this book inspires you to be creative and make a space where you can express yourself, that's the best result I could hope for. 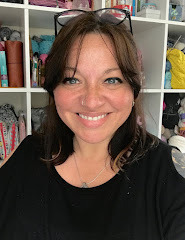 I am fortunate to have a dedicated (tiny) studio - my Cwtch - although we bought our house when I was creating only children, I hadn't learned to knit and wasn't painting or drawing. So the space I have isn't ideal as a studio, but it's perfectly workable with a bit of organisation and I found a lot of great tips and inspiration in the book, resulting in changes to the decor and some re-organisation of my tools. I'm sure the book will come in particularly handy when we eventually move on and can plan a proper dedicated studio from the outset. Sally, thank you for taking the time to talk to use today. Could you start by telling us a little bit about yourself and your background? I studied Archaeology and Anthropology at Oxford, way back, and it ignited an interest in people and their living spaces. It opened my eyes to the different ways people throughout the world, and through time, have organised their homes and outdoor spaces. It's fascinating because essentially we're the same the world over, we just want somewhere safe and homely where we can raise our families, be productive and express our creative sides. 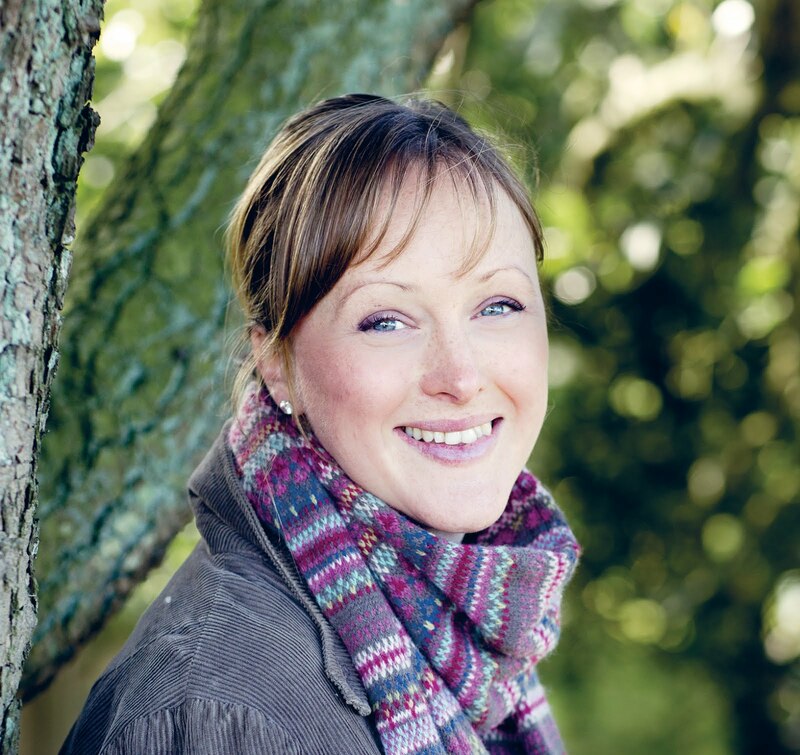 I've written books for two decades now, and at the same time, designed gardens and interiors for clients, as well as doing projects for my own home, a farm in North Yorkshire where I live with my husband James and our three little girls. What inspired you to write a book about Studio spaces? We rent a barn out to artists, here on the farm. It struck me that the artists and crafters who came through our doors were always really good at making a space that helped their creativity and reflected their work. I wanted to explore that and see if there was anything we could glean from that to help us in our own homes. 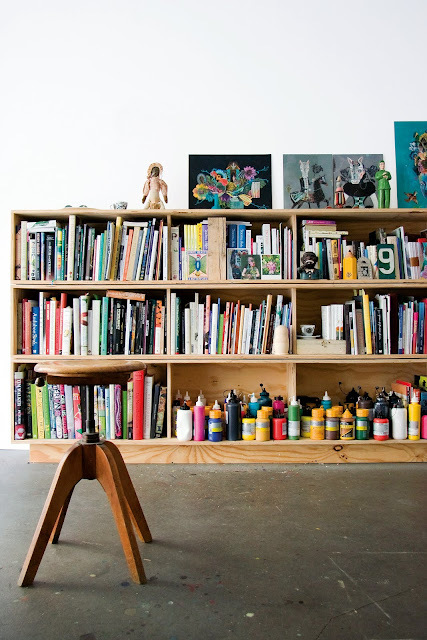 The book includes many beautiful and inspiring studios. How did you decide whose spaces to include? I could have filled ten books. There are so many incredible spaces out there. And an infinite array of talent. In the end, I went for a mix of well-known artists and makers, who have a strong social media presence, and people who have never been photographed before or had their spaces seen by the public. I think it gives the book a real energy and twist. You write about the need to give yourself permission to have a studio or workspace. Why is that necessary? And why do you think it is so important? I think we're are bad at giving ourselves permission to have time off from work or time out to pursue something outside of the everyday treadmill of work and family. I'm a big fan of the attitude that you only have one life, and that it's vital to follow your creative passions. You don't have to give up the day job or being a good parent, you just need to carve out some time for that side of yourself. It might seem selfish at first, but I think people who are in touch with their creative side tend to be happier, more content, and also more imaginative - that has benefits for everyone. Many people end up with an ad-hoc workspace - maybe just a corner of a table, or a room that is intended for some other purpose - and which might develop slowly over time. What advice would you give to the creators (and bloggers) who are reading this and would like to be more intentional about their space? What are your top tips for improving the space you have available if you're not in a position to have a dedicated studio? Wow! Where do I start? The first priority is to make a clear separation between work and home. Screen off, shut the door, pull a curtain across, make sure you don't have home things creeping into your studio space. Think about a reshuffle - do you really need that understairs space or that attic storage? Could it be a studio instead? If you have to space share, think about ways of hiding away the STUDIO when you don't use it. I worked from a converted IKEA wardrobe when I had a flat in London. It worked brilliantly. Bureaus, armoirs, plan chests etc, all good ways of tucking away the contents of your studio. I think the most important factor is the person themselves. I'm used to working in corners of rooms and I find it freeing to be able to move around the house, depending on my mood or project. My work allows that flexibility but that's also a feature of my personality type. 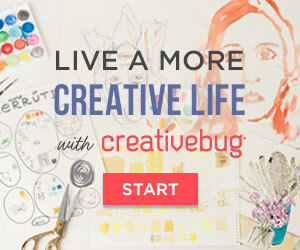 I think you need to be honest with yourself about how much separation you need for your creative pursuit. 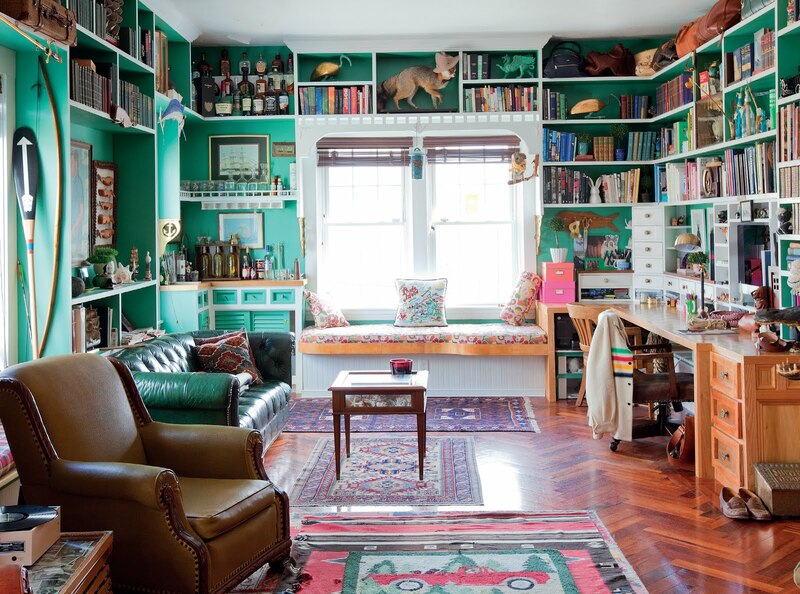 If you need solitude and seclusion, and dedicated square footage, the corner of a room will never fulfil your needs. Time for a rethink - you need to decide just how important your creativity is and look into renting a space or building a garden studio. It might not be as expensive as you think. In fact, that's what my new book is about - how to build a garden room with no DIY experience! Thank you, that sounds great - I'm looking forward to reading it. 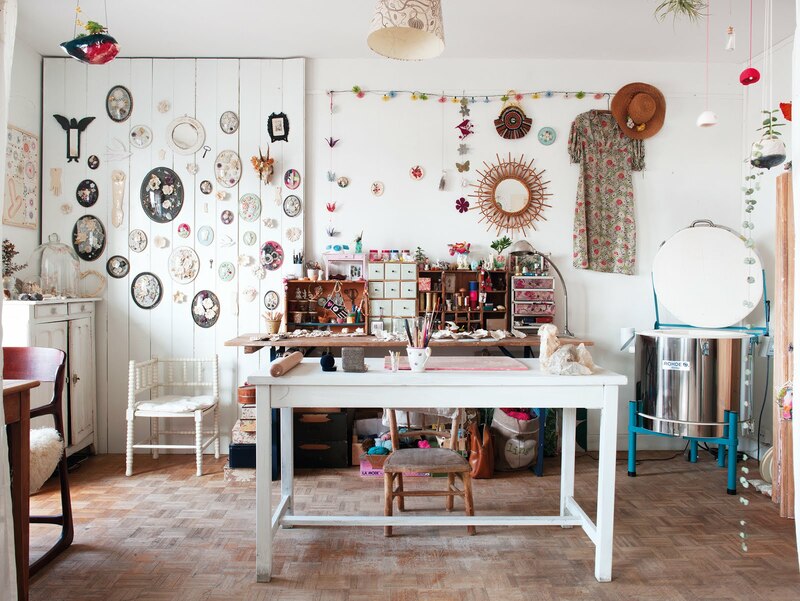 STUDIO is widely available from today - go get inspired! You can also find Sally's other books listed here, find her website here and on Instagram here. an imprint of The Quarto Group. Out 16th March. 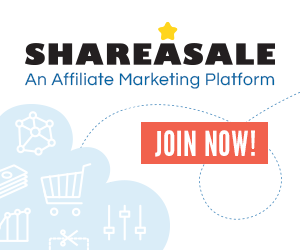 *Amazon UK affiliate links are included in this post. At the time of writing, STUDIO can be pre-ordered there for £17. The book is widely available from March 16th with an RRP of £25 / US $35 / CAN $45. ISBN 978-1-910254-76-9.